Happy (almost) Birthday to Sadie!! I’m hoping the weather cooperates so we can treat the birthday girl to some of her favorite outdoor activities and spoil her with our annual birthday food challenge. I’m not sure what two foods we will pit against each other this year but it’s always so fun to see which one she runs to first! Chase also wants to make her a cake (99 percent sure this gesture is motivated by his love for icing), so that’s on the agenda as well. 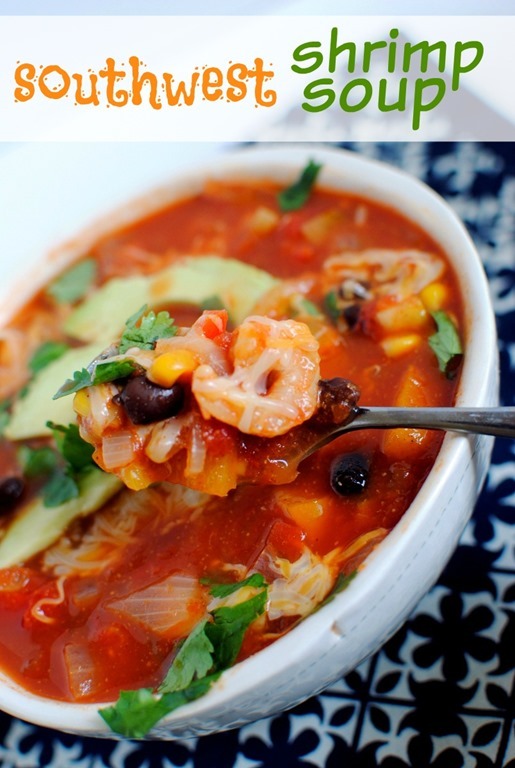 Before signing off for the weekend, I wanted to take a minute to dive into my weekly Things I’m Loving Friday roundup of favorites! As always, I’d love for you to chime in and tell me about something that is making you smile this week. I hope you all have a fantastic weekend! 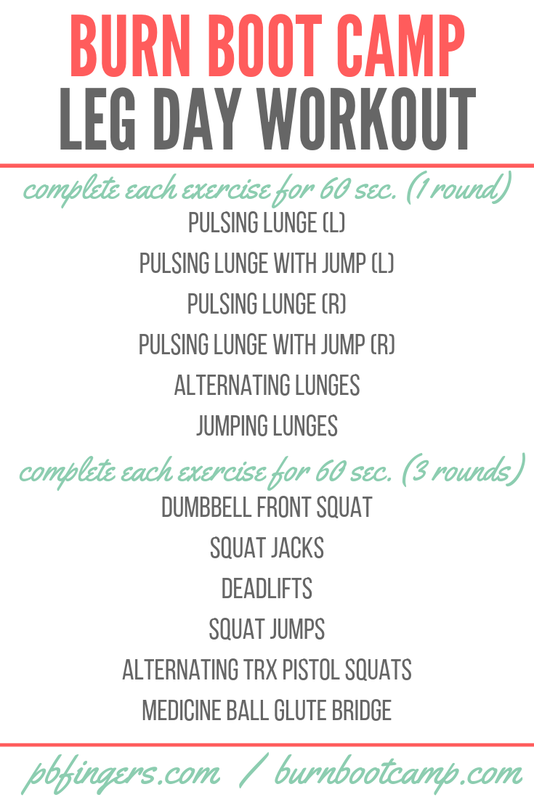 I am still waiting for the day I finally fall in love with leg day workouts but for some reason they just seem to kill me every time! On Wednesday afternoon, I made it to Burn Boot Camp for a leg workout I almost enjoyed, so I’ll consider that a victory. 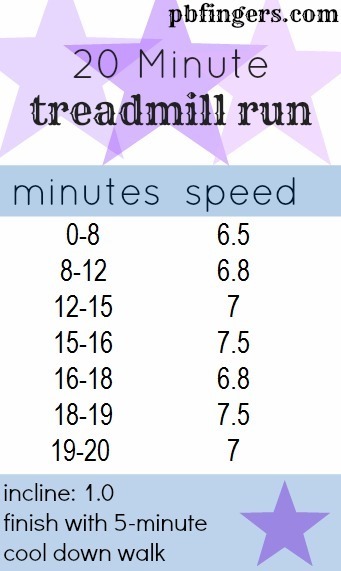 The fact that the workout included jumping lunges and I didn’t completely hate it is saying something! I felt this one in my quads, hamstrings and glutes and left the gym feeling like I got a great lower body workout so I knew I had to share it here with you guys. It’s hard but effective and I was definitely sore after this one! It’s been a long time — years, probably — since I’ve started and finished a book in one night but it happened with Where the Crawdads Sing by Delia Owens. I read this book until 2 a.m. and couldn’t stop thinking about this novel for days after I finished reading. (And yes, it was a book that made it worth sacrificing precious sleep!) 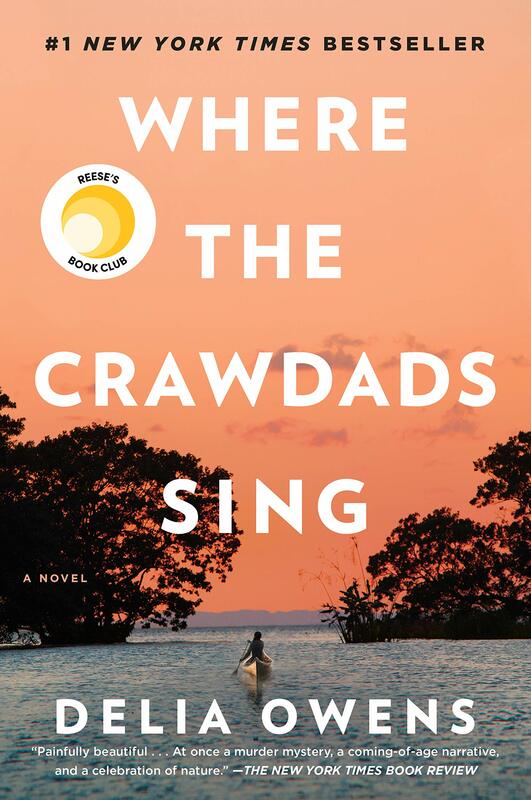 Where the Crawdads Sing was recommended to me by one of my best friends and a handful of you and it was an absolutely wonderful read with beautiful writing, an intriguing plot and interesting characters. My mother-in-law sent this star night light to the boys for Christmas and to say it has been a huge hit would be a severe understatement. Ryder is captivated by the lights and Chase calls it his “light show” and loves for our family to lie on the floor in his bedroom together to “relax and look at the stars.” It can be a night light and has a timer you can set to have it turn off automatically but we’ve been most enjoying it for family time before bed when we’ll talk and point out our favorite stars, look for the biggest stars, etc. Since Chase is still very much into space, it’s been an awesome find for him so I wanted to share it here for any of you out there who might have space-loving little ones! I get asked all the time about my favorite nursing-friendly apparel and I feel bad because I rarely have great recommendations since I typically opt for just lifting up my shirt and feeding Ryder BUT I finally have something to share! 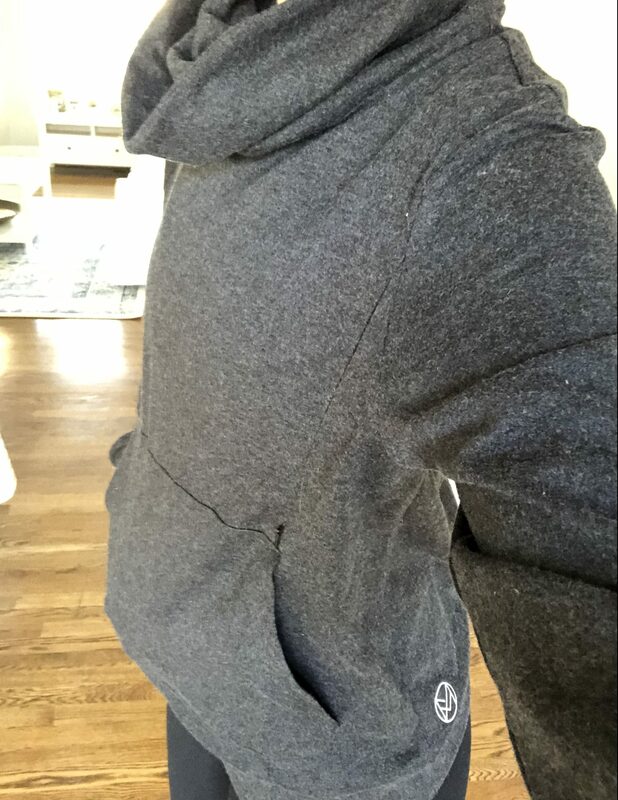 I recently received this nursing sweatshirt from a fellow Charlotte-area mom of two who recently launched her new company with the hope of giving nursing moms stylish but functional apparel options. It’s perfect for discreet nursing and is comfortable and doesn’t look at all like traditional nursing apparel which, admittedly, usually turns me off. I actually had three different women ask me where I got it when I wore it to the gym this week and all of them were shocked when I said it was a nursing sweatshirt and showed them the hidden zippers. 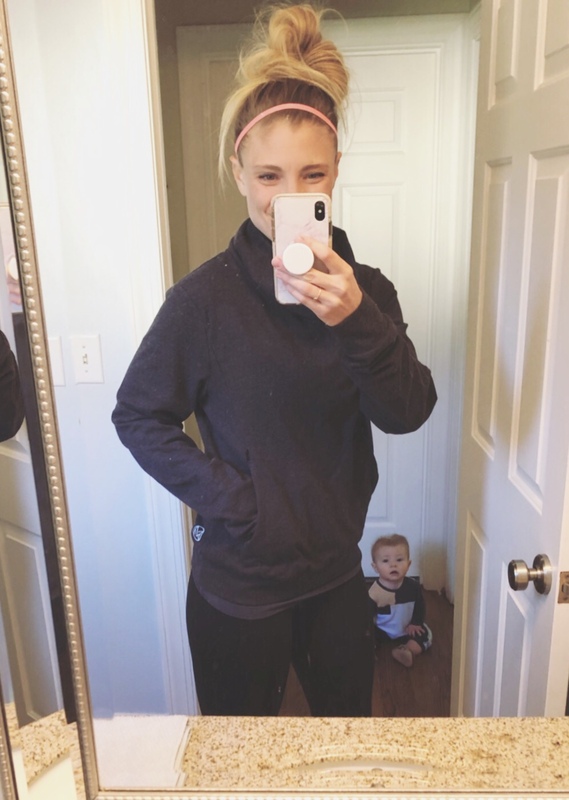 The sweatshirt is not only crazy comfy but it features discreet zippers on either side of each breast making it easy to feed your little one on the go without lifting up or taking off your top. I love the slouchy cowl neck and kangaroo pocket in the front of the sweatshirt and have been wearing this one all over the place! If you want to try it out, you may use the code PBFINGERS for 15% off your purchase on Amazon through the end of January. And for sizing reference, I have the medium which fits great and while I think it fits true to size, I would recommend sizing up if you want a cozier/looser fit. I just started the Crawdads book this week but haven’t really had time to dig in. I’m definitely intrigued though! My goal this year is to keep a record of all the books I read. The first one of the year was Baby Teeth, please check it out because even a week after finishing it I can’t stop thinking about it! Thank you for the recommendation!! Always looking for great books to check out! Ooo I hear ya on the sleep sacrifice for a good read. I recently read Behind Closed Doors by B.A. Paris and gave up some precious hours haha. Have a good weekend! Happy Birthday Sadie!!! I will definitely check Crawdads out. Educated is a good one, enjoy! Wishing Sadie the happiest of birthdays! I hope she enjoys her special day! I have been hearing about Crawdads EVERYWHERE so I guess it’s time I bit the bullet and bought it! Thanks for sharing your input. 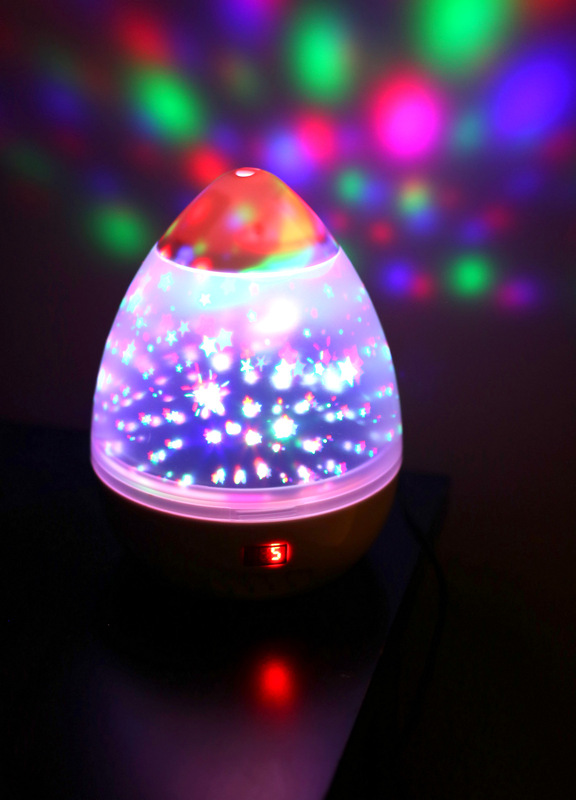 Also, I’m a 30-year-old woman who has zero kids but I totally want to buy that nightlight for myself. LOL! Where is the nightlight from? I love that idea for my 2yo daughters room! I love that iPhone feature. Setting it today! Thanks for the rec. And happy birthday, Sadie! Enjoy cake making this weekend. The down time thing is amazing!! I love that our society is starting to acknowledge that we spend too much time on our phones! I try really hard to put my phone down from dinner through bedtime because to us, that’s family time. It’s when we eat together and play together and I don’t want my phone to take away from that! My youngest son just turned three and must nap about two hours a day or he’s a disaster. He only sleeps 11 hours a day total though. Anyway, yesterday he skipped his nap and went to sleep at 6. Then he was up from 1230-4 am wide awake. When he got up at 1230 I could tell he thought it was morning! This would have been a disaster but thankfully I had also gone to sleep at 6 and I had picked up All Your Perfects at the library earlier in the day! So I read that while he played in the middle of the night! There are sooo many books I want to read right now! Reading makes me so happy! Happy birthday Sadie! I love that you include books you like, we have similar tastes in books! I loved both Educated and Where the Crawdads Sing! 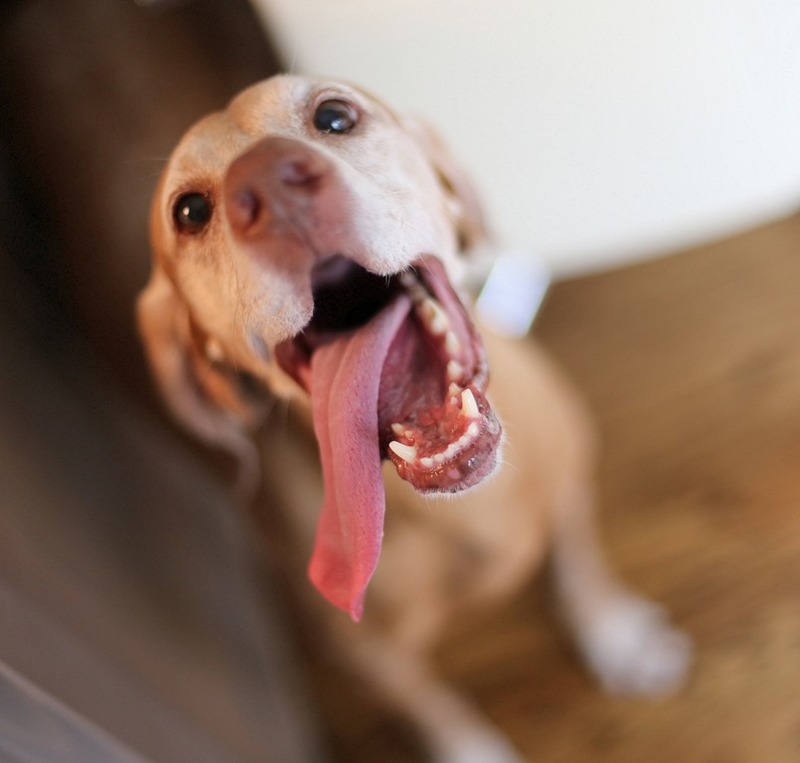 Sadie’s tongue in that first pic! Lol. Happy birthday Sadie! Something I’m loving from last week is taking our almost 3 year old skating for the first time. I had no idea what she was going to think about it but she loved it!! Oh my gosh how fun!!! I wouldn’t even know a 3yo could do that! Happy Birthday Sadie! I’ve been meaning to grab that book. My friend got me hooked on Reese Witherspoon’s book club and she sent me literally all the book suggestions from the last two years! I’m reading One Day in December which is cute so far, they’re making it a movie and I believe both Reese and Mindy Kaling will be in!!! I’ve heard amazing things about Crawdad so I’ll have to nab it!!! Ah! Just saw this comment and I started reading that exact same book last night — very cute so far! I think I’m the only person in the world who LOVES LEG day. Every week I ask my trainer to give up my upper body & core exercises in lieu of more leg workouts so I’ll have to give this workout a shot! Loved the crawdads book! A book you should read is A Boy and His Ribbon (there’s a second book, A Girl and her Ren). It has somewhat of a similar story line. I think you’d enjoy it!